Boonie Bears 3- Yep, the Jedi were defeated by this lot. Why? You may ask. Why would our beloved Star Wars not work for Chinese audiences? Does that look familiar to you at all? And the Chinese see this on their televisions literally on a daily basis- Star Wars is the basic Chinese fantasy genre with white people and spaceships. Everyone talks about Star Wars’ Japanese roots, but what they forget is that while Lucas took elements of style and iconography from Japan, he was also borrowing heavily from the Shaw Brothers Hong Kong cinema of the day as well. If anything, Star Wars is far more Wuxia than it is Samurai, especially in style and presentation. Sending Star Wars to China is the equivalent of Chinese people making a Marvel-style superhero movie, adapting it to Chinese audiences, and then turning around and trying to market that film back in North America. How well do you think that would work? Well, you don’t need to think long, it already happened- it was called The Four, and it happened a few years ago. If that movie’s name didn’t immediately leap to your mind, there’s a reason for that, the same reason why the mainstream Star Wars films are ultimately doomed to mediocrity in Chinese cinema, despite the efforts to hype it up. Rogue One, and some of the spin offs might do okay, because they’re not about Jedi and fantasy elements, but instead other genres set in the Star Wars setting. On the plus side, however, this could be a good thing creatively. For example, ghosts are a huge no-no in Chinese cinema, so there would be no Force Ghosts in any new movies if they’re considering a Chinese audience. It could be very creatively freeing not to have to worry about Chinese censors, and Disney could spend their marketing money elsewhere to get better results. Here in Canada, we have a saying- “like selling snow to Eskimos” (I know it should be Inuit, but that’s the saying) and when Disney tries to take Star Wars to China, that’s exactly what they’re trying to do. 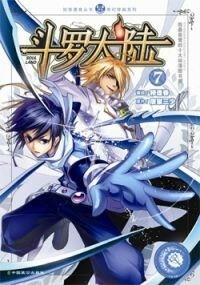 A little over a year ago, I noticed a Chinese name, Douluo Daolu, on the “top 20 manga” of the site Mangafox.com, which I thought was unusual to say the least on a site dedicated to Japanese manga. 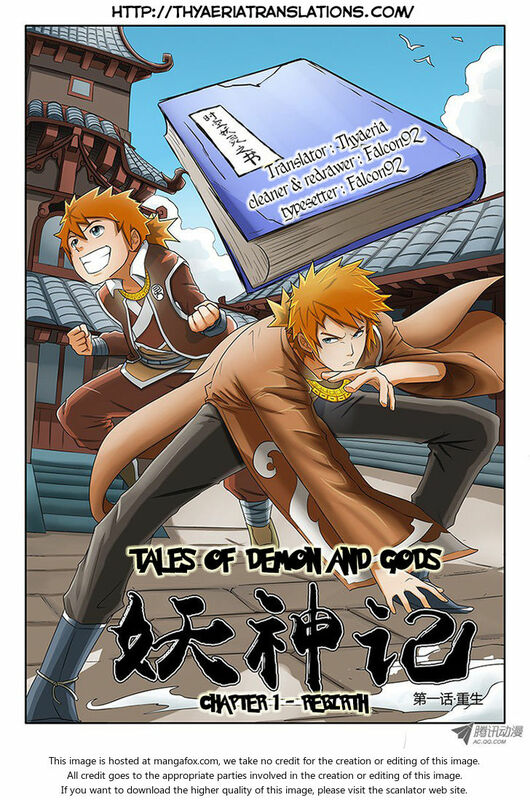 The site does have Korean and Chinese comics, but to see a translated Chinese one reach a serious English readership (which required tens of thousands of reads a month) made me quite curious. So naturally, I did what I always do when I’m curious- I checked it out! As it turned out, Doulu Daolu was my first step into the world of Chinese fantasy web fiction, but I didn’t know it at the time. As anyone who knows me, or is familiar with my work, knows I’m a longtime fan of Chinese Wuxia stories and movies. 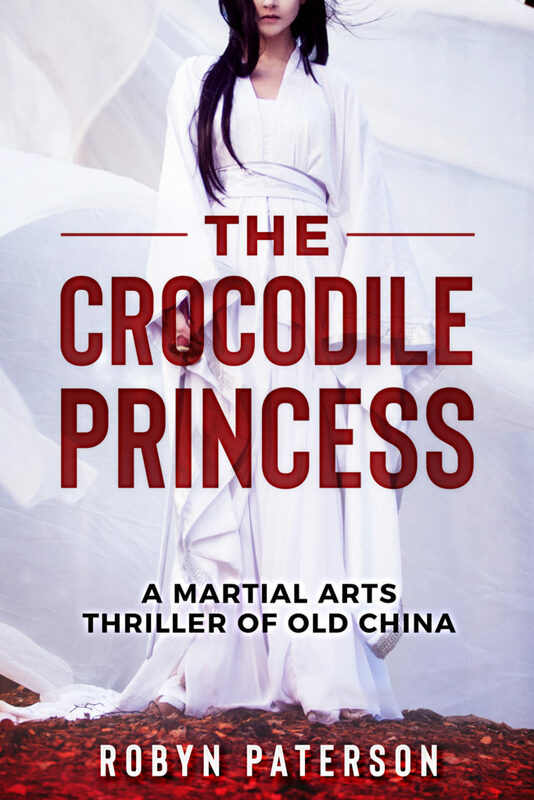 Wuxia, familiar to most English readers through movies such as Crouching Tiger, Hidden Dragon, is essentially the Chinese pulp historical action genre that holds the same place in the Chinese culture as Westerns do in the United States and Samurai films do in Japan. It flourished during the first half of the twentieth century in newspaper serials, and then eventually moved to the big and small screens in China, Hong Kong and Taiwan. Even today, elements of it pervade Chinese culture, and even “normal” historical Dramas have a habit of making use of stylized Wuxia-eqsue swordfighting once the action kicks in. Now, despite Wuxia’s tendency toward “flying swordsmen”, you might be surprised to learn it is often a fairly “grounded” genre. “Standard” Wuxia stories will contain a bit of a jumping around, and maybe a few funky martial arts qi-based abilities, but tend to be light on what Westerners would call “magic” because they were still mostly focussed on the characters and their relationships with their martial arts sects and clans. Yes, there are often lost secret martial arts techniques, but these mostly just make people stronger and faster fighters, and rarely (in the literature) are about tossing around fireballs and summoning monsters. I always found this groundedness somewhat appealing, that underneath their hyper-stylzed combat techniques, we were still watching skilled humans deal with inherently human problems for the most part. Likely, it also worked for me because this was the power level George Lucas used when he “borrowed” Wuxia tropes and made a little film series called Star Wars. I grew up dreaming of Jedi, so when I was shown Wuxia fighters who could do basically the same things Jedi are shown doing in the movies it didn’t really bother me. This is also why, when I came across examples of what Chinese would call “Immortal” stories, which are stories about “gods” like Zu: Warriors from the Magic Mountain, I didn’t care for them. 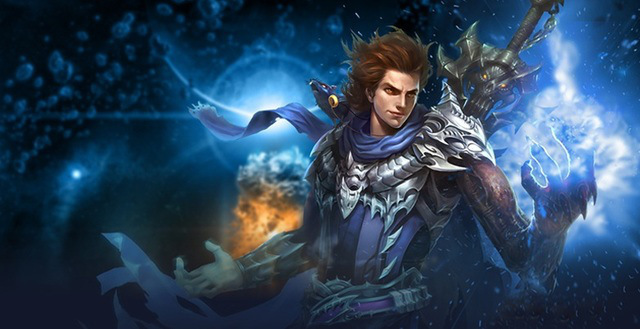 “Immortal” stories are basically super high-powered Wuxia stories about people who have transcended the mortal realm (or were never human to begin with) and their conflicts with the other “gods”. 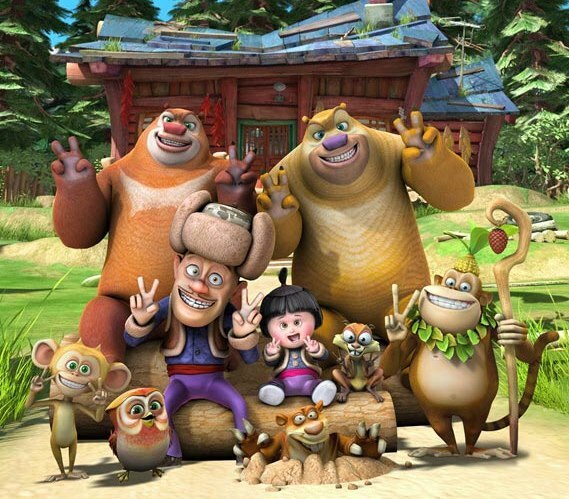 They spring mostly from Chinese mythology and of course the classic Journey to the West (aka The Monkey King) which in itself is basically an Immortal story about a couple gods hanging around with a priest on Earth and battling other gods and evil spirits. Because it seems the Chinese actually came up with a new genre that sits between the two- Xianxia, which is sometimes referred to as “Cultivation” novels. 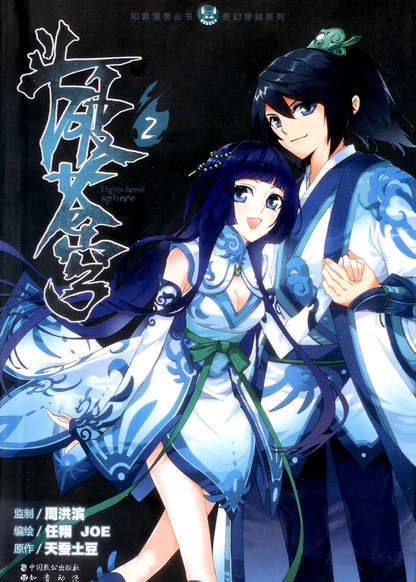 This currently super-popular genre is one of the pillars of Chinese Webnovel fiction (online serialized fiction on Chinese web portals) and while largely unknown in the English speaking world , has taken the Chinese one by storm. I posted previously about the top webnovel writers in China in 2015, and without an exception, all of them are Xianxia writers. So, what is this mysterious Xianxia Genre? For most of my English speaking readers, I can explain it in one hyphenated word- “leveling-up”. Taking its roots from Taoism and Buddhism, the characters in Xianxia novels (often generically referred to as Cultivators) are trying to “evolve” their souls into higher and purer forms and work their ways up to becoming immortals. However, while that might sound boring and make you think of a bunch of monks sitting around chanting and hoping to spiritually transcend this mortal coil (which is the reality version), in a Xianxia novel this has turned into an excuse to give the main characters magical superpowers they use to fight other Cultivators. 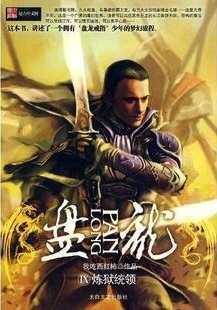 I often describe Xianxia novels as Wuxia meets World of Warcraft, which is essentially what they are. They’re stories where a generic nobody hero levels up by fighting, finding magic items, going on quests, and making friends and allies. And while that might sound dull, in the right hands, it is anything but! 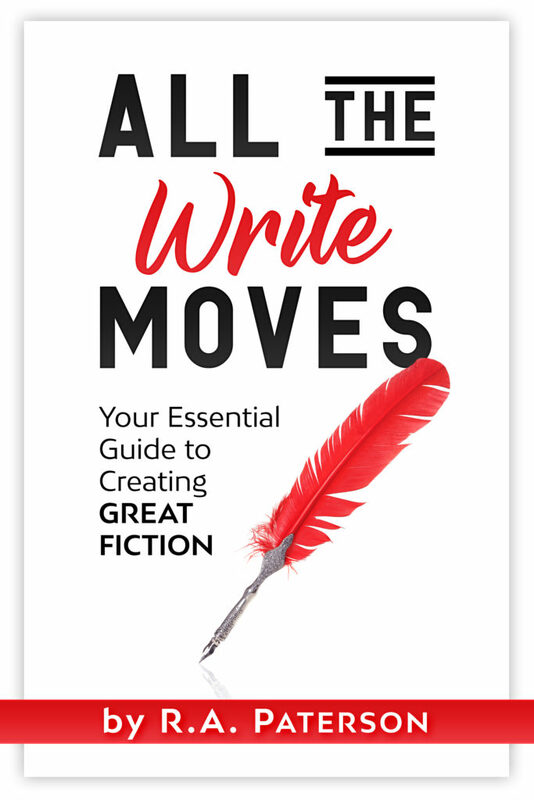 Since they’re written as Light Novel serials targeted at a Young Adult market, they tend to be action-driven stories filled with adventure, romance, humor, and more twists than a barrel of eels! They harken back to the days of Horatio Alger Jr. stories of a youth becoming a man, but with a uniquely Chinese spin on them. It takes place in a pseudo-historical Fantasy world often based on old China. The main character (MC) is (almost) always a weak young man of low birth. Often the MC will get one of these monsters as a pet early in the story, which will be his companion and level up with him. There are a handful of “Immortals” who have reached top rank in the setting, and the world tends to revolve around them. Some are friendly toward our hero, some will want him dead. The baddest of these will be the “final boss” the hero will need to face to finish his quest. There was once a great lost civilization in the setting who littered the setting with lost tombs and hidden places filled with cool magical items and books. There will be some variant of a Magic Satchel (usually a bag or ring) which is easy to carry but which allows the MC to store massive amounts of stuff they find with almost no weight. The character will gain some bizarre magical superpowers during their journey that seem weak at first, but level up into something massive over time. In the meantime, the MC will be pursued by a host of other young hotties who will tempt him and keep the drama flowing and try to seduce him at various points in the story. 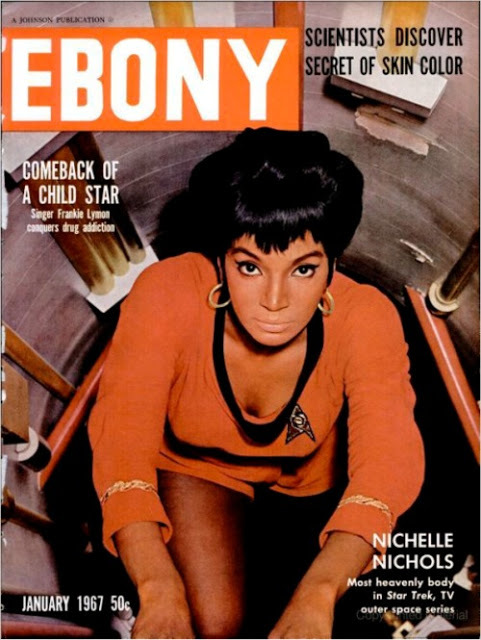 The female lead will have some ability that enhances or is complimentary to the male lead. Every young man wants to be a warrior/fighter- it’s their dream to fight for their clans. Many Xiaxia stories have a “survival of the fittest/strongest” theme to them. Coiling Dragon (aka Panlong) was one of the first Xianxia stories translated into English by the webmaster of Wuxiaworld, Ren Wo Xing. It is also special in that it takes place in what is a basically western fantasy setting instead of a Chinese one. Linley Baruch, one of the last members of the once-mighty Baruch clan, discovers that he is the inheritor of a great legacy- he has “dragon blood” running through his veins, but it only gives him potential, he has a long journey to make it reality. If you’re looking for an intro to Xianxia novels, and aren’t sure if you can handle all those Chinese names, then this is probably the one for you. It starts a little slow, but is well written, and picks up as it goes. When people go on the Wuxiaworld.com forums and ask where to start among the many series, this is a name that pops up almost every time (along with I Shall Seal the Heavens) and it has the other advantage of being 100% finished in both English and Chinese. 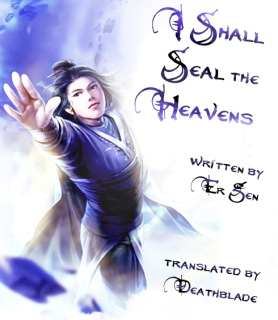 Of course, these are just a few of the Xianxia webnovels being translated right now by sites like the ones listed below, and are just my own entry points. You should probably check those sites out for more information and find something that works best for you. Wuxiaworld also has very active forums, which can answer any questions you have. Rob and Don explore the effects that Star Wars has had on their lives, and the culture around them, as they’ve grown up. Comics, cards, toys and the origins of Don’s Beilert Valance action figure are all explored in this episode of the Department of Nerdly Affairs. This past weekend, the new CGI animated series Star Wars:REBELS premiered on the Disney XD app with the first two episodes strung together into a “movie” (which is all of 43 minutes long…). It’s basically the story of how Aladdin comes to join the crew of The Firefly and…err…I mean how EZRA comes to join the crew of the GHOST and fight against the evil oppressive Empire. I wish I was joking, but ever since someone online referred to Ezra as Aladdin, I can’t not see him as Aladdin in space, they even refer to him as a “street rat” during the episode, like they want us to make the connection or something. As first episode stories go, it’s a confused mess of bad tactics and jumps in logic mixed with lots of action, which means it’s pretty typical and not bad. I’d actually say it’s a better first episode than Clone Wars had, and Clone Wars turned out to be pretty fun series, so I have some hopes for this one. (Having the same creative team from Clone Wars mixed with the creative team for Young Justice gives me extra hope.) On the downside, the core story looks to be another Jedi-Padawan training story, but that can’t be helped since Jedi sell toys and without the Jedi the Star Wars universe is pretty a pretty generic Sci-Fi setting. I’ll keep watching to see where this one goes. It has real potential, and I trust the people in charge, so it could be a good ride. Rebels premiers on regular TV next week, and with this and the final season of Legend of Korra starting next weekend (officially) it looks like I’m going to have some good weekend TV to look forward to each week! Musical geeks are the most entertaining geeks, because they find ways to combine their musical talents with their geeky hobbies in fun ways. Case in point- The Piano Guys, who use a variety of instruments (but mostly pianos) to produce fun and creative music videos. Everybody was Star Wars Fighting! Moves for Jedi Combat. Comic artist Pere Pérez took it upon himself to design actual combat moves for jedi, and the results are awesome. 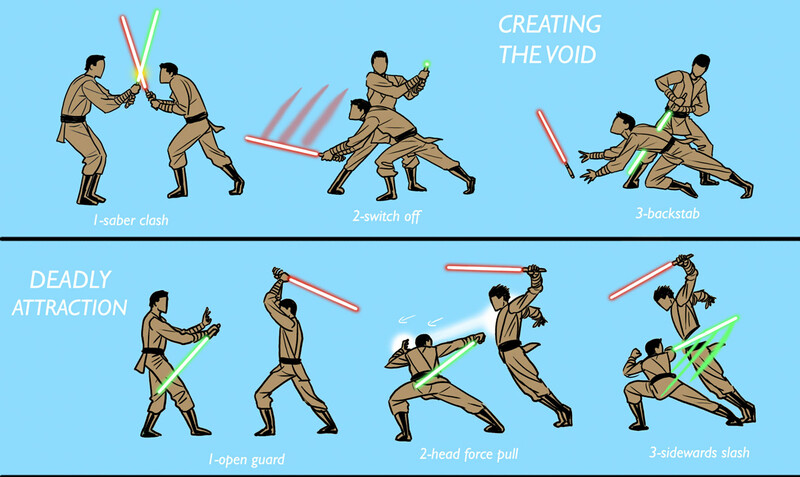 Below is two of the eight very logical fighting moves he came up with to make use of both the special qualities of The Force and the Lightsabre’s ability to turn on and off at will. Can’t stop laughing. Really amazing work! Today, I was talking with my friend Mysterious Pants about the future of the Star Wars movies, and the crazy rumors swirling around what’s coming with them. Things like that they may be doing one movie a year for three years (which I believe), that Clone Wars will be yanked from Cartoon Network after this year (which could happen, given that Disney doesn’t own Cartoon Network), and that they may bring back Darth Vader (not true, I hope). 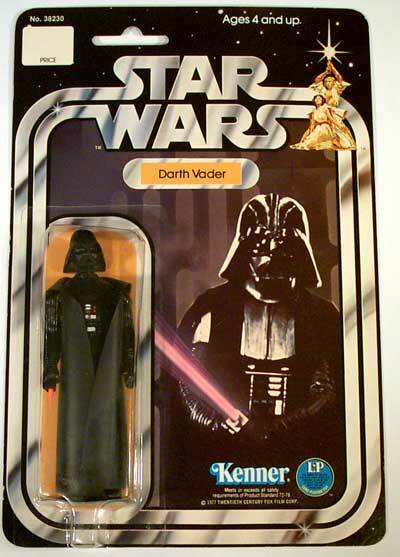 He thinks if they bring back Vader, it will be a clone. I suspect something similar, although I was thinking it would be neat if for some reason Vader in the new trilogy is actually Luke Skywalker, who has been forced to take on the role. This creates a lot of possibilities, but Mysterious Pants made an awesome suggestion I’d love to see. Luke Skywalker, now an older Jedi recluse, discovers that there is a new Sith Armada (or even small Empire) sitting at the edge of the galaxy, and realizes that he needs to create a new order of Jedi to battle them. This is complicated by the fact that the Sith believe the Jedi extinct, and if they know what he’s up to are likely to jump the gun and attack the New Republic. So Luke must go on a quest to find and recruit new Jedi in secret, while avoiding Sith agents (who are also trying to secretly recruit force-users for their army) and prepare them before the enemy arrives. This introduces a bunch of new characters, our next generation of heroes, and sets in motion a conflict for Skywalker himself- who has a decision to make. With the looming Sith threat, and an army of untrained Jedi who don’t seem ready for battle, will Luke have to make use of the one thing that could even the odds- The Dark Side of the Force? Of course, the final film would be the Sith Invasion, and we’d end with a spectacular battle between the new order Jedi /New Republic and the returned Sith Empire. The Sith would be beaten back, but still out there, and the Jedi would have to work at rebuilding their order and replacing their losses. Thus setting the stage for future films and stories. This would of course even lead into a new Jedi Academy series of stories and whatever else they want to do as the Star Wars universe *finally* goes forward into the future.